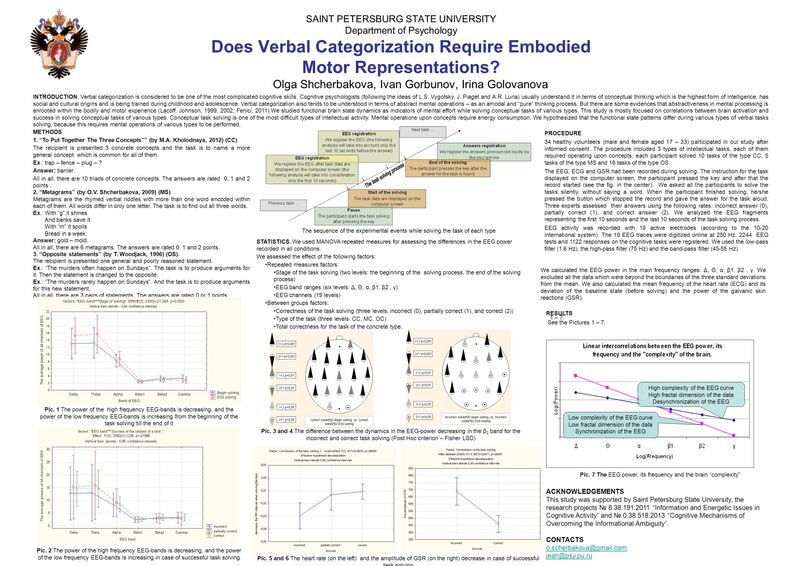 Download ppt "SAINT PETERSBURG STATE UNIVERSITY Department of Psychology Does Verbal Categorization Require Embodied Motor Representations? Olga Shcherbakova, Ivan Gorbunov,"
Edition Vitale and Giglierano Chapter 6 Assessing and Forecasting Markets Prepared by John T. Drea, Western Illinois University. Assessment: The Good, The Bad, The Ugly. Questions to think about How do you assess students performance in mathematics? How does performance on tests. Identifying Sight Words A universally designed lesson for first grade using the Promethean Smart Board Rachael Love – MCPS High Incidence Accessible. Helen Gaeta, David Friedman, & Gregory Hunt Cognitive Electrophysiology Laboratory New York State Psychiatric Institute Differential Effects of Stimulus. REFRESHING MEMORY FOR DETAILS OF A MOCK CRIME DOES NOT ENHANCE ACCURACY OF A P300 GUILTY KNOWLEDGE LABORATORY TEST Shinji HIRA (Fukuyama University) Isato. Fractions Don’t Need to be Fatal. Session Goals Participants will understand: Why the Focus on Fractions? What are ‘fractions’? Intro to KNAER (grounded. Copyright © 2009 Pearson Education Canada12-1 Chapter 12: Cognitive Development in Middle Childhood 12.1 Cognitive Processes 12.2 The Nature of Intelligence. Transfer from structured to open-ended problem solving in a computerized metacognitive environment 指導教授 : Ming-Puu Chen 報告者 : Hui-Lan Juan 時間： 2008.03.29.